This incredibly soft, plush security blankie is complete with silky satin trim and lining and provides comfort to babies and children. 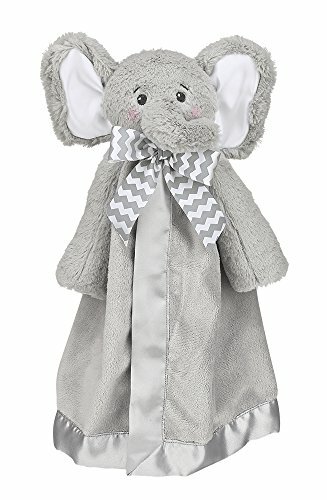 This baby lovey is sure to become baby's favorite. Measuring 15" long, this plush blankie is the perfect size for baby to cuddle and is big enough to become a toddler's cherished lovey. Made by the Bearington Baby Collection known for their outstanding quality and fine fabrics. Gives you the assurance that this will be one that is treasured for years. Machine washable. If you have any questions about this product by Bearington Collection, contact us by completing and submitting the form below. If you are looking for a specif part number, please include it with your message.